Embedded Systems. International Journal of Embedded Systems, 2(3-4), 239–247. Baumann, C., Bormer, T., Blasum, H., and Tverdyshev, S. (2011). Proving Memory Separation in a Microkernel by Code Level Verification. In proc of the 14th IEEE International Symposium on Object/Component/Service-Oriented Real-Time Distributed Computing (pp. 25–32). Beck, M., and Kagan, M. (2011). Performance evaluation of the RDMA over Ethernet standard in enterprise datacenter infrastructure. In proc of 3rd Workshop on Data Center – Convergent and Virtual Ethernet Switching. Cahn, A., Hoyos, J., Hulse, M. and Keller, E. (2013) Software-Defined Energy Communication Networks: From Substation Automation to Future Smart Grids. In proc of IEEE SmartGridComm 2013 Symposium – Smart Grid Services and Management Models. Chavez, A.R., Hamlet, J., Lee, E., Martin, M. and Stout, W. (2015) Network Randomization and Dynamic Defense for Critical Infrastructure Systems. California, USA: Sandia National Laboratories. Chiosi, M., et al. (2012). Network Functions Virtualization – An Introduction, Benefits, Enablers, Challenges &Call for Action. Issue 1. ETSI White Paper. October 2012. 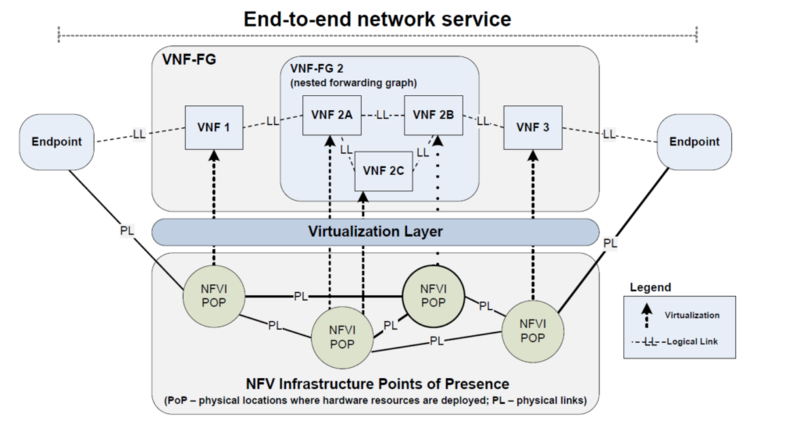 Retrieved February 2016 from http://portal.etsi.org/NFV/NFV_White_Paper.pdf. Codesys GmbH. CODESYS Control RT: Real-time SoftPLC under Windows. Retrieved March 2016 from https://www.codesys.com/products/codesys-runtime/control-rte.html. Crespo, A., Ripoll, I., and Masmano, M. (2010). Partitioned Embedded Architecture Based on Hypervisor: The XtratuM Approach. In Proc. of European Dependable Computing Conference (EDCC). Cruz, T., Simões, P., Monteiro, E., Bastos, F., and Laranjeira, A. (2015). Cooperative security management for broadband network environments. Security and Communication Networks, 8(18), 3953-3977. Didier, P., and et al., F. M. (2011). Converged Plantwide Ethernet (CPwE) Design and Implementation Guide. Dong X., Lin H., Tan R., Iyer R. and Kalbarczyk Z. (2015), Software-Defined Networking for Smart Grid Resilience: Opportunities and Challenges, Proc. of 1st ACM Cyber-Physical System Security Workshop (CPSS’15), Singapore, 2015. Meeting, Vancouver, Canada, November 3-8, 2013. Retrieved February 2016 from: http://www.ietf.org/proceedings/88/slides/slides-88-opsawg-6.pdf. Fuchs, C. (2012). The Evolution of Avionics Networks From ARINC 429 to AFDX. In Proc. of Innovative Internet Technologies and Mobile Communications and Aerospace Networks (Vol. 65, pp. 65–76). García-Valls, M., Cucinotta, T., and Lu, C. (2014). Challenges in real-time virtualization and predictable cloud computing. Journal of Systems Architecture, 60(9), 726–740. Genge, B., Haller, P., Beres, A., Sándor, H. and Kiss, I. (2016) Securing Cyber-Physical Systems. In Using Software-Defined Networking to Mitigate Cyberattacks, pp. 305-329, 2016, Taylor & Francis Group. IEEE, Time-Sensitive Networking Task Group. Retrieved February 2016 from: http://www.ieee802.org/1/pages/tsn.html. Igure, V.M. ; Laughter, S.A. and Williams R.D. (2006) Security issues in SCADA networks, Computers; Security,Volume 25, Issue 7, Pages 498-506, 2006. Irfan, N. and Mahmud, A. 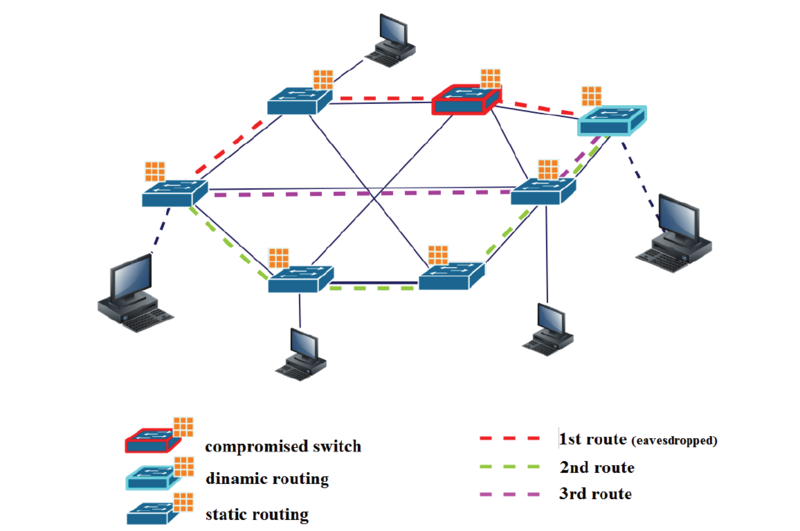 (2015) A Novel Secure SDN/LTE based Architecture for Smart Grid Security. In proc of IEEE International Conference on Computer and Information Technology. ISA-99.00.01 (2007) Security for Industrial Automation and Control Systems – Part 1: Terminology, Concepts,and Models, American National Standard. ISaGRAF. ISaGRAF Overview. Retrieved February 2016 from: http://www.isagraf.com. Kang, D. et al., (2011) Proposal strategies of key management for data encryption in SCADA network of electric power systems, Int. Journal of Electrical Power & Energy Sys., Vol. 33, Iss. 9, Nov. 2011. Kean, L. (2010). Microcontroller to Intel Architecture Conversion: PLC Using Intel Atom Processor. Kreutz, D., Ramos, F., Verissimo, P., Rothenberg, C., Azodolmolky, S. and Uhlig, S. (2014). Software Defined Networking: A Comprehensive Survey. Proc. IEEE, 103(1), pp.14-76. Krutz, R. L. (2006) Securing Scada Systems, USA: Wiley Publishing, Inc., 2006. O’Murchu, N. Falliere (2011) W32.Stuxnet dossier, Symantec White Paper, February 2011. Dynamic Zoning Based on Situational Activitie for ICS Security. In IEEE 978-1-4799-7862-5/15. Security–a Survey. In proc of the 14th European Conference on Cyber Warfare and Security 2015 (pp. 220). RAD Data Communications Ltd. (2015) Megaplex-4 D-NFV Virtualization Module, Retrieved February 2016 from:http://www.rad.com/Media/34173_D-NFV.pdf. Silva, E.G., Knob, L., Wickboldt, J., Gaspary, L., Granville, L. and Schaeffer-Filho, A. (2015) Capitalizing on SDNbased SCADA systems: an anti-eavesdropping case-study. In IFIP 978-3-901882-76-0.